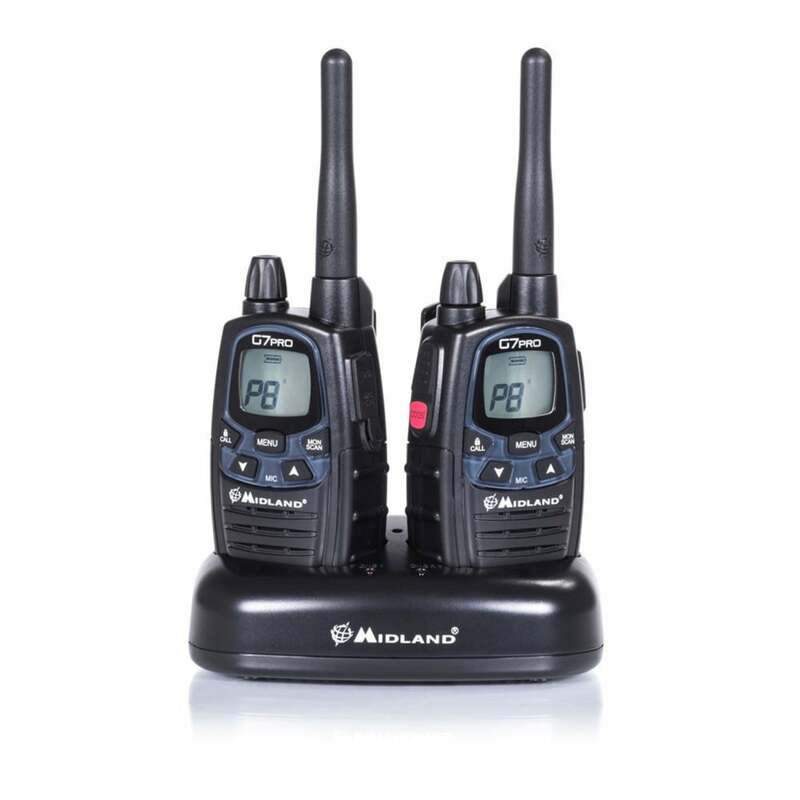 The very latest UK version of the Midland G7 licence free PMR446/LPD 2-way handheld radios. These are perfect to use anywhere, and you can easily add more radios to build up your own system for friends/family etc. Their splashproof design makes them ideal for both indoor and outdoor use. Simple to use and supplied complete and ready to use with a docking charger and re-chargeable batteries. This radio can be powered in 4 ways, from the supplied NiMh battery pack, from 4 x alkaline batteries, 4 x re-chargeable batteries or from the new (optional) 1200mAh Lithium-ion PB-Pro (C1148) battery pack that makes the radio 20% lighter. A dual function Press To Talk allows selection of either high power or low power, to save battery life.